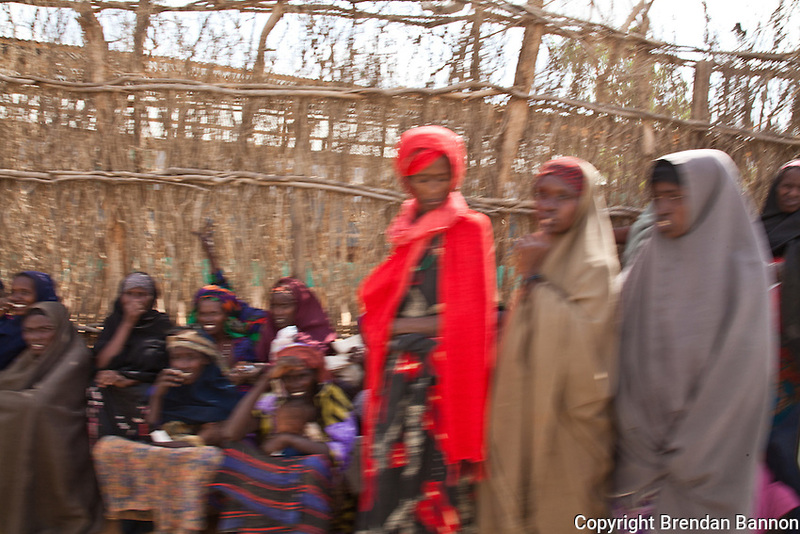 Women waiting in line for a special distribution of clothes and food at a refugee run mosque in Dadaab refugee camp. The camp has become home to waves of refugees from Somalia over the past 20 years. The old arrivals often pool resources to help new arrivals settle.